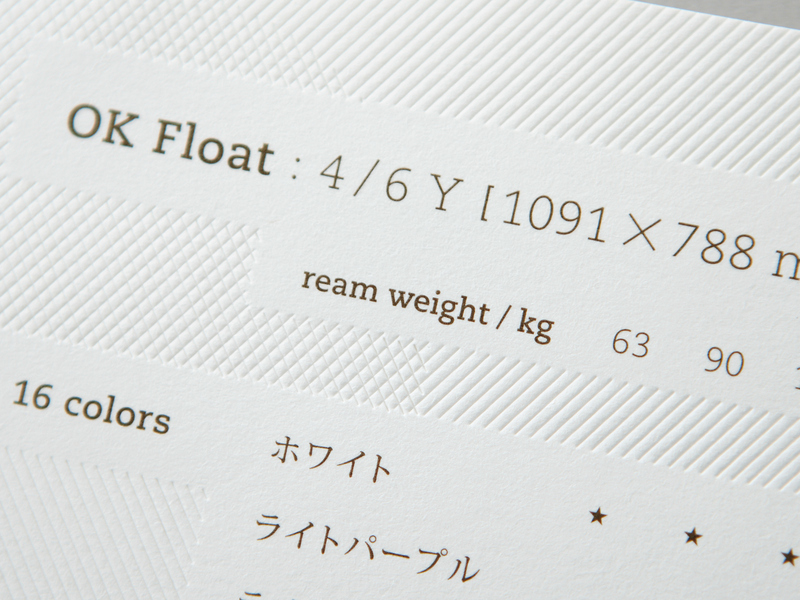 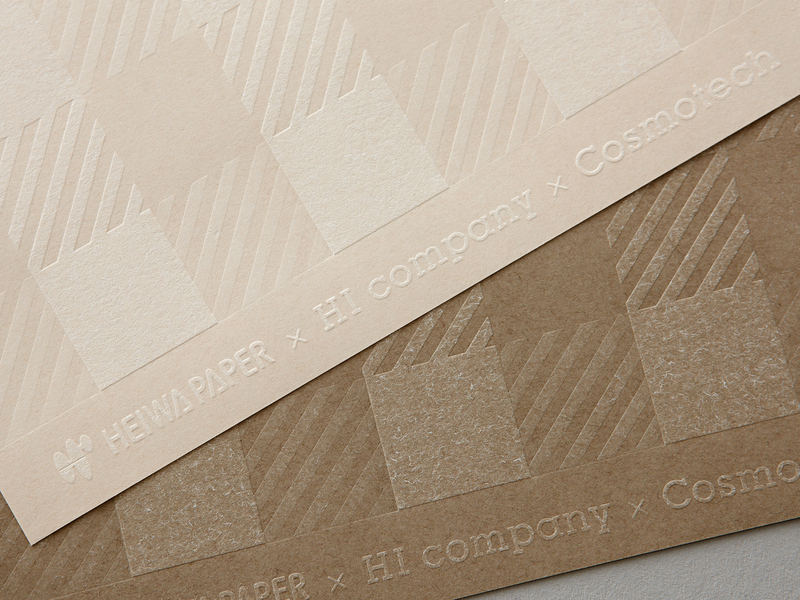 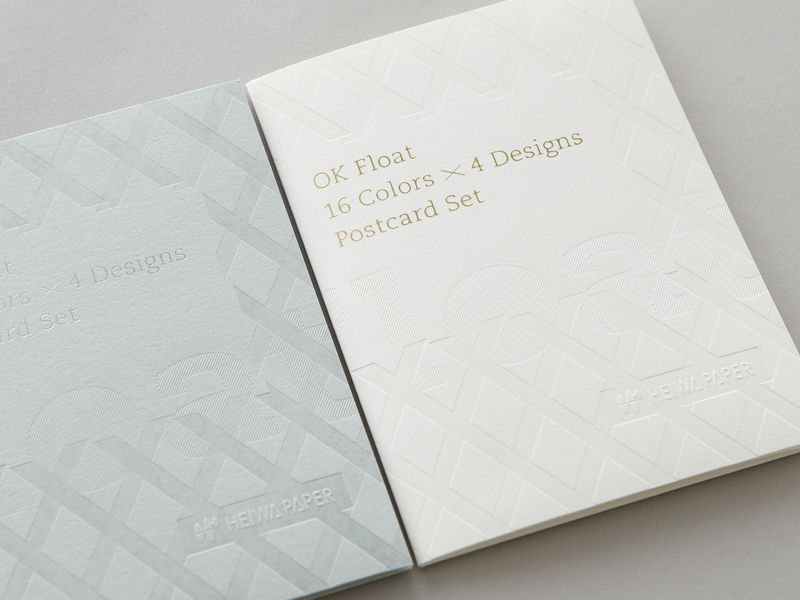 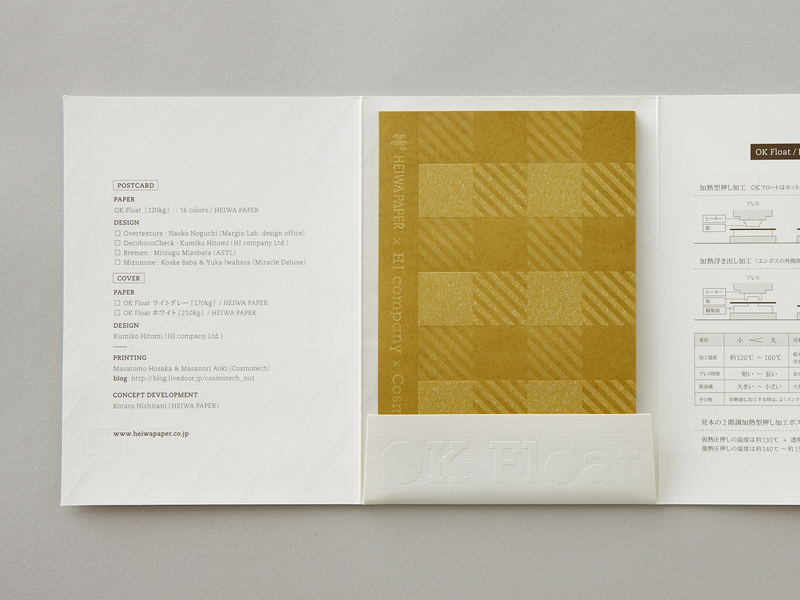 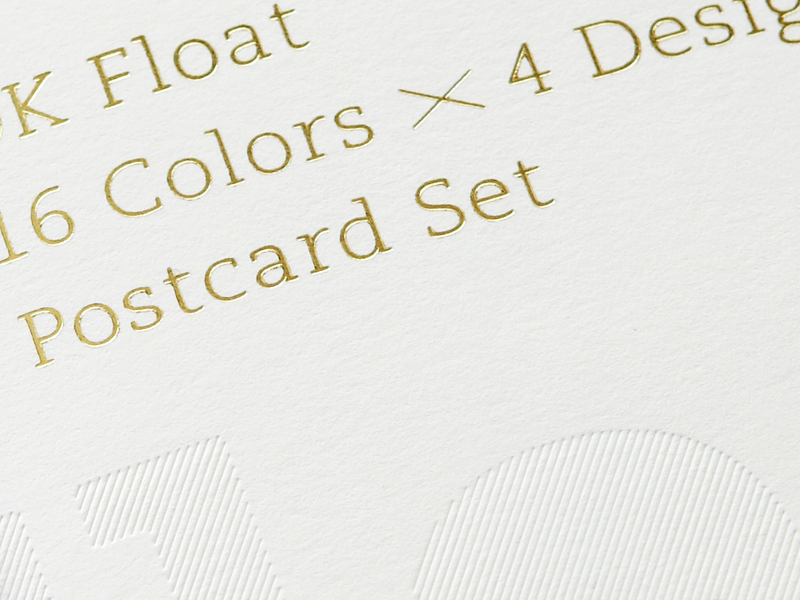 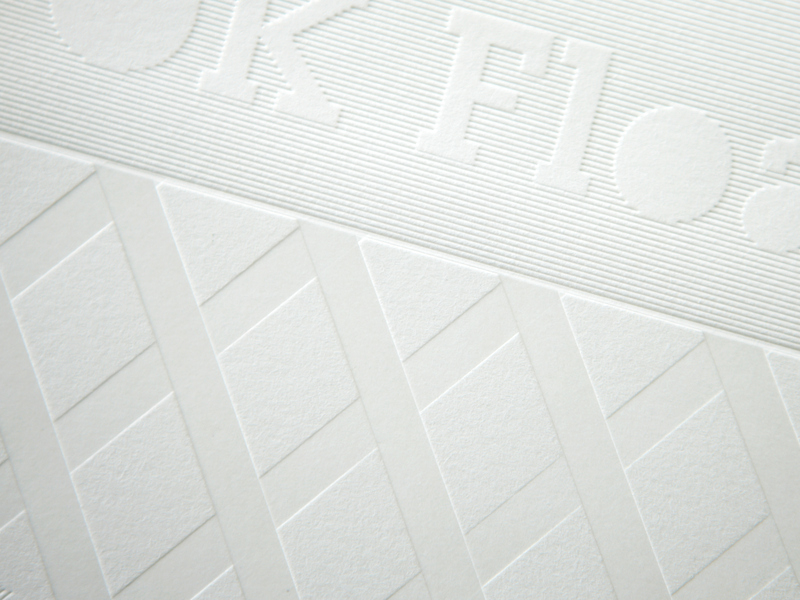 The paper "OK float" changes in color and texture when hot (heated) stamps are applied. 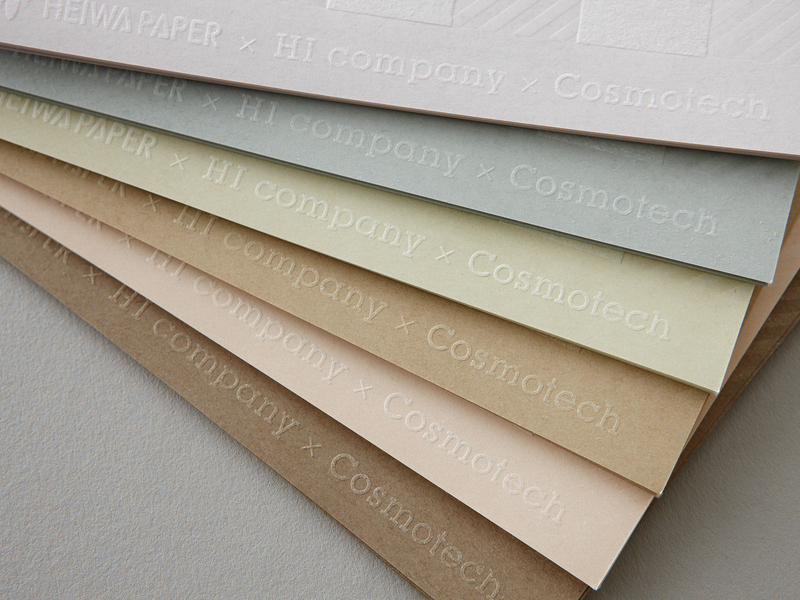 For the promotion of this unique paper, we experimented applying low pressure and high pressure to get two types of effects. 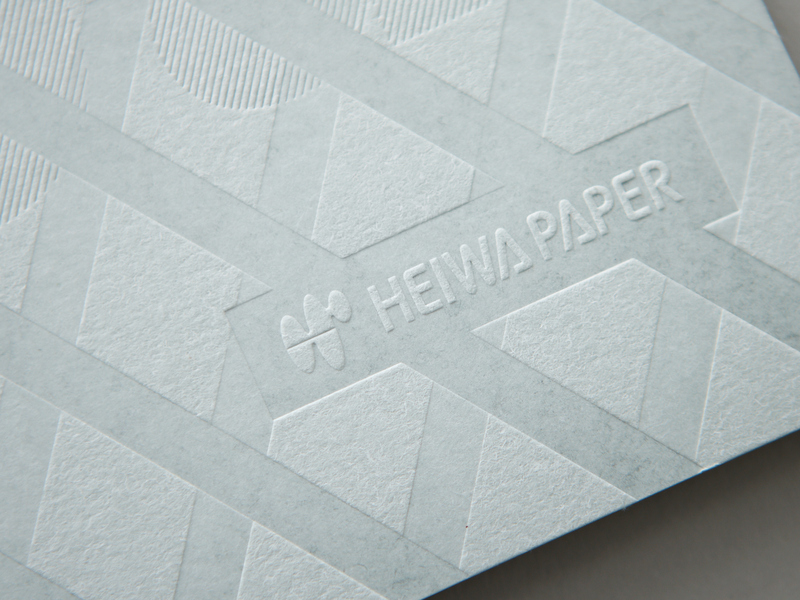 paper: Heiwa Paper "OK float"